We start the class with a set of warm up exercises to release tension in the body and calm the mind. In Kundalini yoga we do different kriyas. A kriya is a set of yogic exercises masterfully put together to achieve a particular purpose. We might work on balancing the heart centre, strengthening the auric field, increasing our intuition, realeasing anger, generating prosperity or stimulating the lymphatic system... We use yogic postures, breath work, mudras and mantras - the divine sound current to tap into our divine nature so that we can become more of who we truly are. 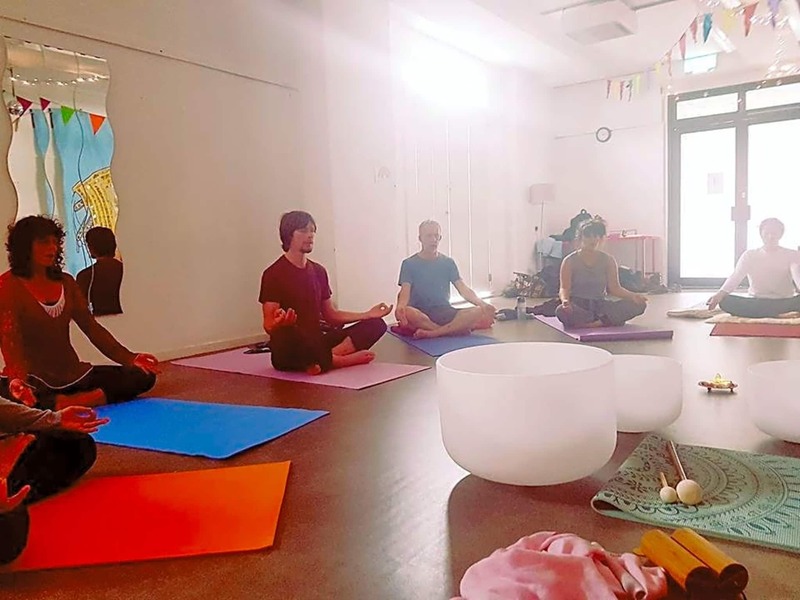 After the kriya we allow ourselves to melt into deep relaxation before we finish the class with connecting to our inner guidance system through blissful meditation. This ancient yogic technology works on physical, mental and emotional levels. Come and try it for yourself :) This is an established class with a very friendly bunch of people and beginners are very welcome. What to bring? Bring a bottle of water and blanket to cover yourself during deep relaxation. There are mats available at the venue or bring your own if you prefer. Parking There is free parking available for 3 hours at Diamond Street car park which is just a couple of minutes walk from the Elephant House. There's also free on street parking on Dean Lane, Booth Road or Warden Road which are all nearby. Our teacher Catherine was very good, so welcoming. The venue was perfect, very relaxing. I had a great session.